Embark on an exciting never-ending adventure of self-discovery with Endless Journal! It's a diary that offers you one question each day for a year, and then starts over with the same set of questions to let you see how your answers and you yourself change over time. Some questions will make you think (What would I do today if there was no tomorrow? ), some will make you laugh (What animal do I feel like today? ), but all of them will help you create memories to last a lifetime! It's only up to you how creative and explicit your answers are, so don't skimp on words and don't be afraid to dig deep inside! There are also questions that require photo answers, and these snaps will become cherished visual reminders of special times, people, and places. Endless journal is a perfect companion that is always with you whenever you go, and will even remind you to keep your diary updated! Add more mindfulness and positive emotions to your days by starting your Endless Journal now! 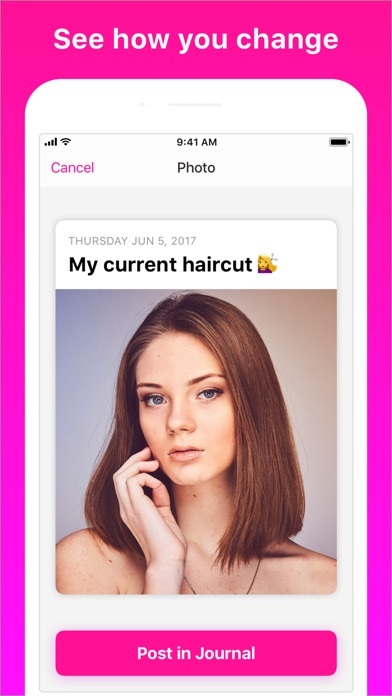 I loved this app before they changed to a photo a day instead of a question a day. 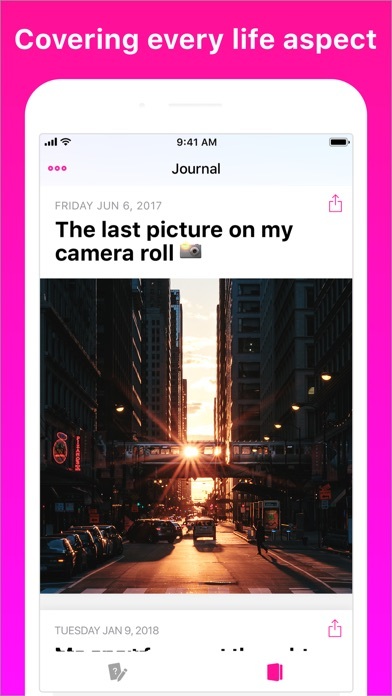 It was the first journal app I actually used (&looked forward to using) every day. I’m sure the photo a day would be loved by some but personally I don’t care for it. I need questions back. All I get is a “post a photo” every day. I thought this was an awesome app, but the last month, every day is “take a photo” no q&a BOOORING! 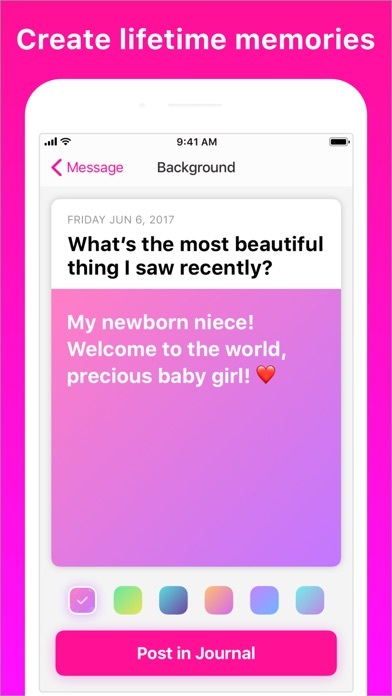 Used to like the app! But for almost a month now it’s done nothing but say “post a photo.” Does anyone seem to care or update this app? Didn’t like how I couldn’t use autocorrect either while typing. Deleting the app. 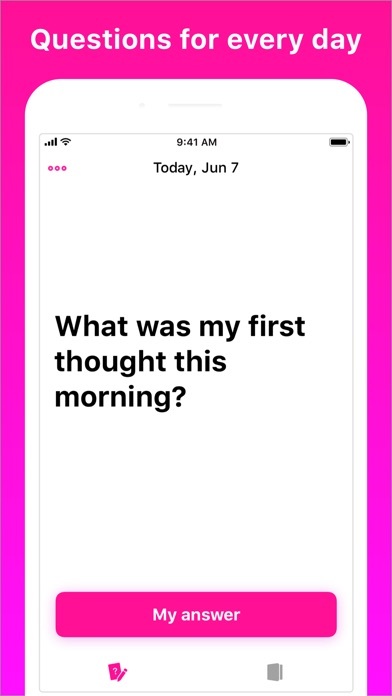 I searched and searched for an app that would ask a simple question year over year and was so excited to find endless journal! But then about a month into my new reflective journey, the questions stopped and it became “post a photo” every day. I assume this to be a glitch, because it’s nowhere near as fun or engaging and I can only muster so much creativity in coming up with something new with the same question day over day!!! 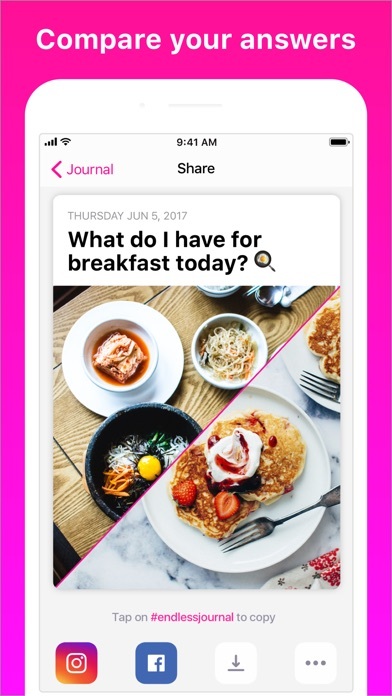 I love this concept of this app-journal (and there’s nothing like it out there), but PLEASE bring the questions back. I can only hold on so much longer. Used to love this app! I am deleting the app from my phone. I used to love seeing what the Journal was going to ask me each day. For the past week however, it just tells me to take a picture. I was hoping it would work itself out but that isn’t the case. Now I’m off to search for another journal app! It was fun while it lasted!